Shahid Rehmat, Chapter Leader of World Faith Lahore, recently conducted an interview with Lucie Meissner from the Institut for Auslandbeziehungen (IFA). In the interview, he discussed his motivation for founding the Youth Development Foundation (YDF) in Pakistan. YDF is a non-governmental organisation dedicated to tearing down socio-cultural, religious, and communal barriers through a youth-led movement. Rehmat faced discrimination as a member of Pakistan’s Christian minority while working at a multinational telecom company. Tackling the discrimination forced Rehmat to think about issues of diversity, and motivated him to begin working on fostering intercultural dialogue. Now, through his work at the YDF and World Faith Lahore, Rehmat aims to enable young people to engage in conversations about diversity. By spreading awareness of the background of Pakistan’s religious conflict and building understanding of Pakistan’s religious diversity, Rehmat mobilizes Pakistan’s youth. 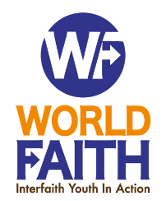 At World Faith Lahore, Rehmat directs the POWER Programme. The POWER Programme utilizes the support of young interfaith volunteers to empower Pakistani women by giving them the opportunity to improve their reading, writing, and business skills. Rehmat uniquely combines two of World Faith’s core missions – building interfaith tolerance and empowering women – through the POWER Programme.